The latest gameplay trailer for Days Gone shows that humanity is its own worst enemy in a much darker apocalypse. Monday's PlayStation State of Play presentation continued with a new look at the upcoming Days Gone, from the folks at Bend Studio. This is a fresh look at the game's story, with a full-blown story trailer that shows that humanity's greatest enemy during the apocalypse is each other. This is a first look at the backstory for lead character Deacon St. John. Players learn that his wife was severely injured and escorted out on a rescue helicopter, as Deacon remained behind to look out for his biker friends. Sadly, Deacon finds the copter in tatters, leaving him mostly unstable for the rest of the story. However, it should be noted that the trailer ends with the statement, "Hope you're right about your old lady, Deke," which somewhat implies that his wife may still be out there. The presentation also showed off some of Days Gone's various mechanics. This includes doing battle against enemies with molotov cocktails and also luring in gangs of Freakers to do your dirty work for you by having them take out any hostiles themselves. 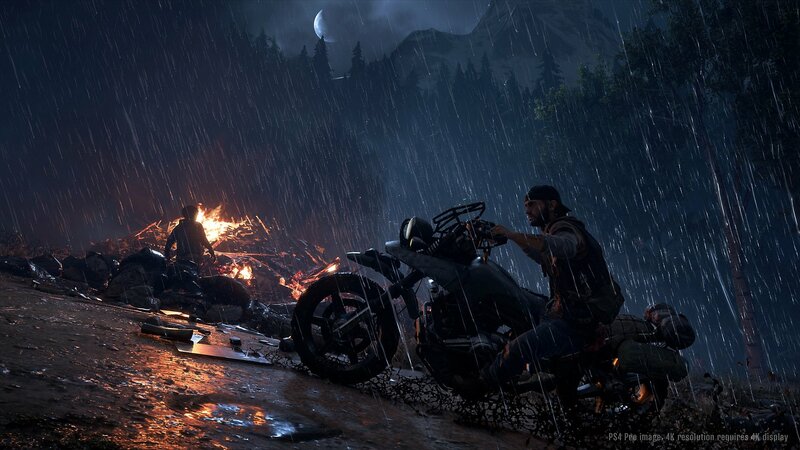 Days Gone is almost here. It's set to release on April 26. While you wait for that April release date, be sure to check out our full hands-on preview from earlier this month.